Water damage is a frequently occurring problem in Pasadena, Texas, and when floods occur in your property you should turn to 911 Restoration Houston for same day service water removal. Our water damage Pasadena crew is available 24/7/365 to provide the best drying and clean up services with the latest drying technology. Looking at the Armand Bayou Nature Center, you will understand why disaster restoration services are so important. This swampy land full of coastal tall grass and bottom land forest is the last remaining piece of the original ecosystem in the area. Bayous create storms and rain creates leaks. If you notice precipitation slipping through your ceiling or flooding your water line call our water damage Pasadena team for water damage restoration services and we will respond within 45 minutes to offer you an affordable price that is often covered by flood or homeowner’s insurance. The best way to find out if your insurance will cover water damage is to request the aid of our water damage Pasadena company because we have years of experience reading industry jargon and can bypass all the frustrating nuances of your policy. Generally, flood insurance will cover your property damage if it came from rain or other natural disasters. Leave in your rain gutters or downspouts is a common cause of roof leaks because the precipitation has nowhere to go other than to pool on your roof. When this happens, the structure will sag until it breaks, so cleaning your roof drainage system is the first step we take. Sump pumps are used to start pumping water out before 911 Restoration Pasadena arrives. A sewage back flow valve prevents returning water from turning into a toilet overflow. You can see why your insurance provider would want these inspections perfumed regularly. The best thing about 911 Restoration Houston is that we offer a free inspection and always put the customer first, so we will do everything in our power to make sure your insurance covers our work. 911 Restoration is the best restoration company because our water damage Pasadena professionals always put the customer first and we are licensed, insured, and bonded to help you avoid leaks before they happen. When rain floods your utters or your water line cracks, we will be there with the latest drying technology to remove all moisture from the area and remediate it to ensure mold spores cannot grow. We are licensed, insured, and bonded, so call our water damage Pasadena specialists when you have a flooding emergency. Our water damage Pasadena experts provide the best disaster restoration services because we have years of experience working with all insurance companies and always put the customer first with an affordable price. 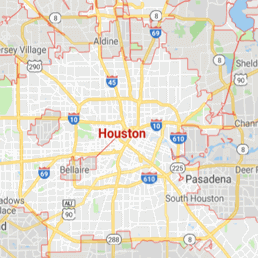 If your home or office location has recently suffered a disaster incident, then contact our water damage Pasadena team with 911 Restoration Houston for immediate help today!